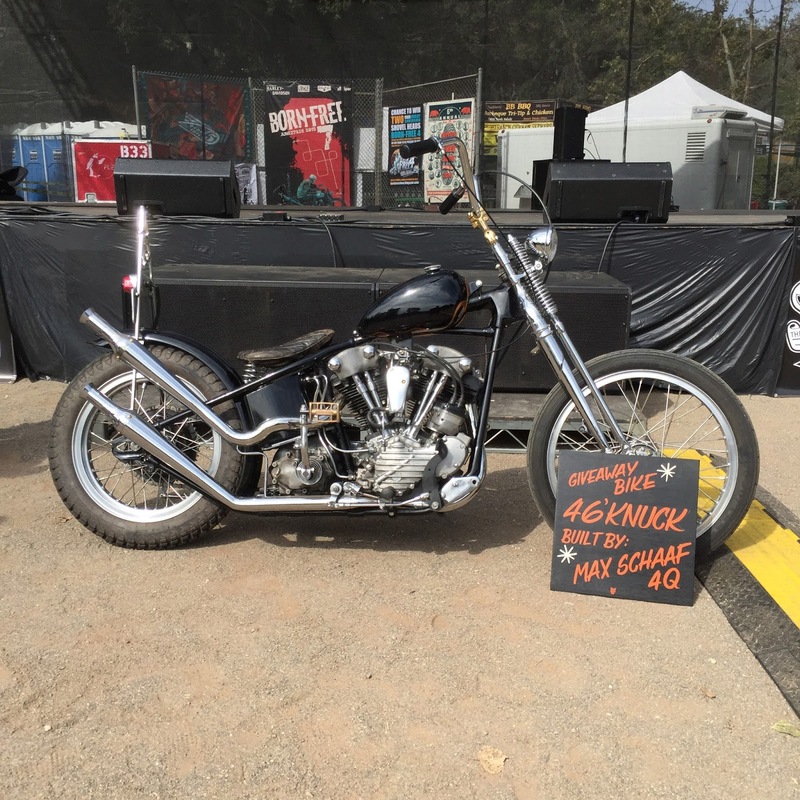 This past weekend was Born Free 7. 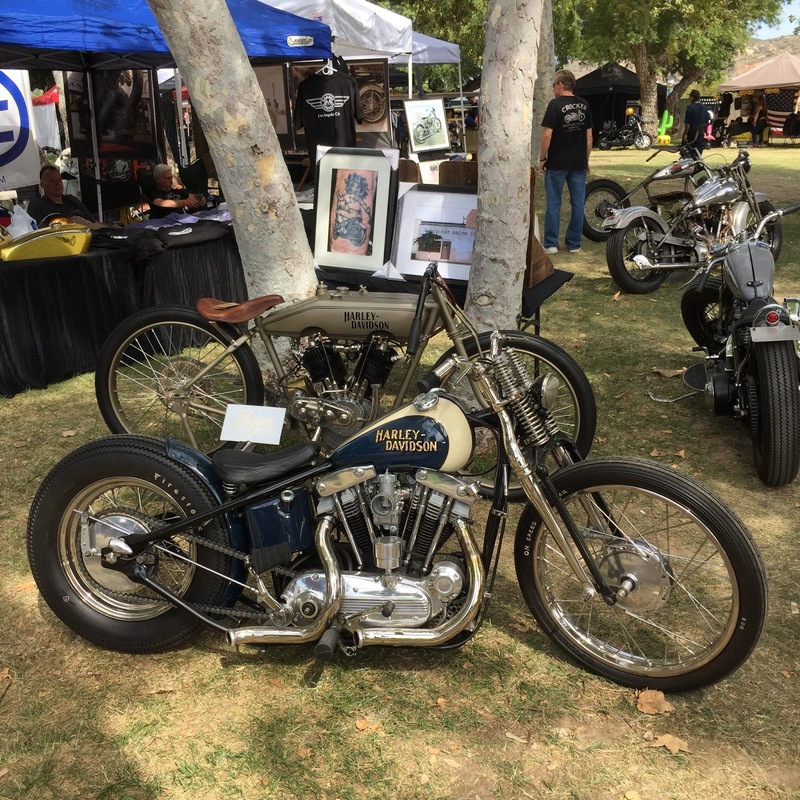 The annual motorcycle show attracts 1,000s of people and motorcycles to Oak Canyon Ranch for two days in Southern California. The title sponsor of the event is Harley Davidson. 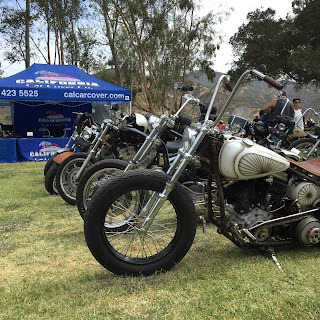 California Car Cover was on hand for a second time as a motorcycle cover sponsor of the show. 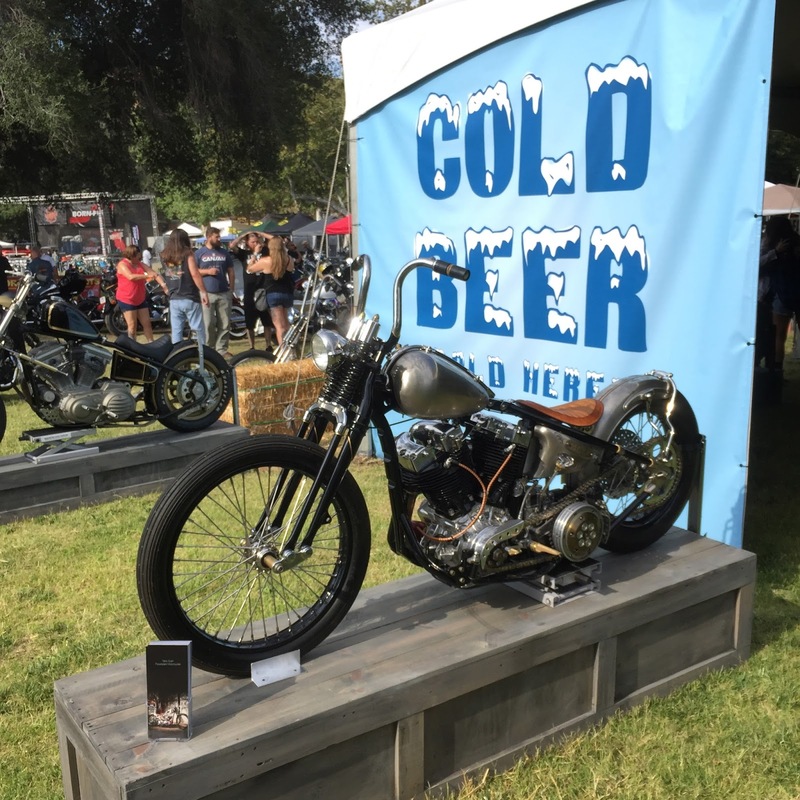 Born Free invites builders from all over the world to showoff their talent by building custom motorcycles and debuting them at Born Free. 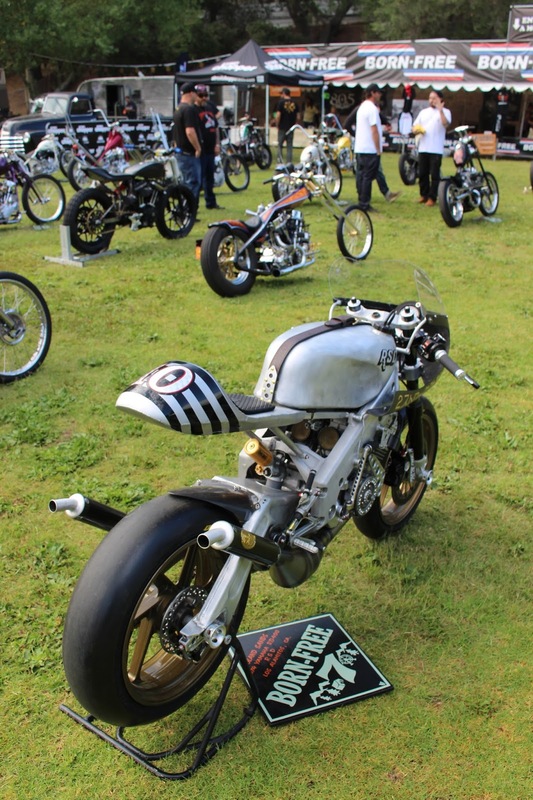 This year, 23 invited builders showed the audience what they could do with a motorcycle. 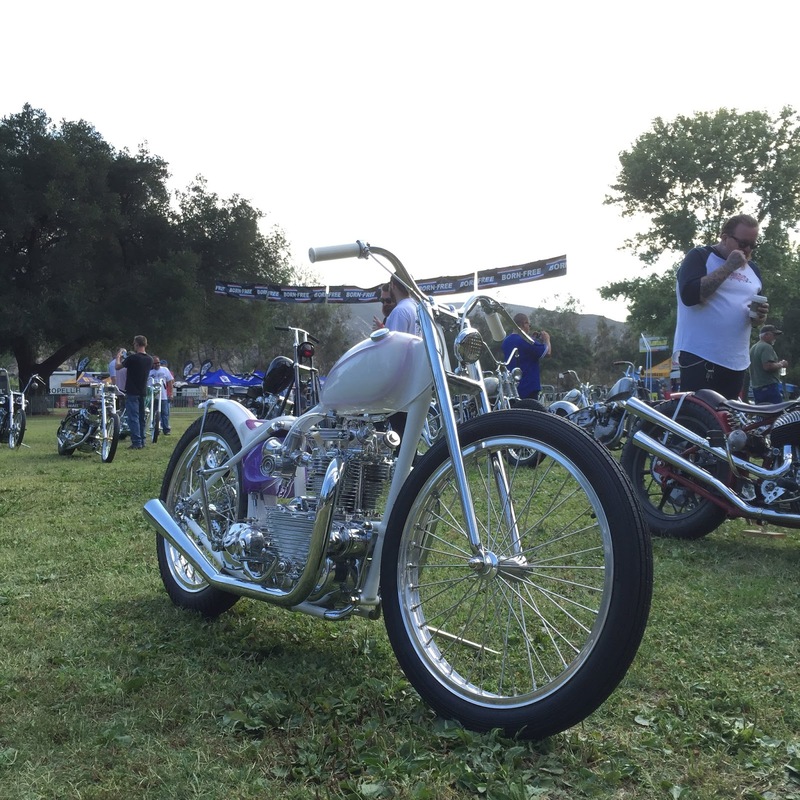 Arlen Ness had a number of famous bikes from his storied career at Born Free. 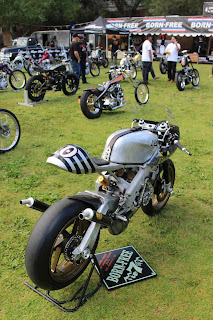 Biltwell had a large display with a great collection of custom motorcycles. The annual Art & Fuel display at Born Free. Motorcycles for as far as you can see. A large crowd gathered for the award announcements and bike raffle on Saturday afternoon. 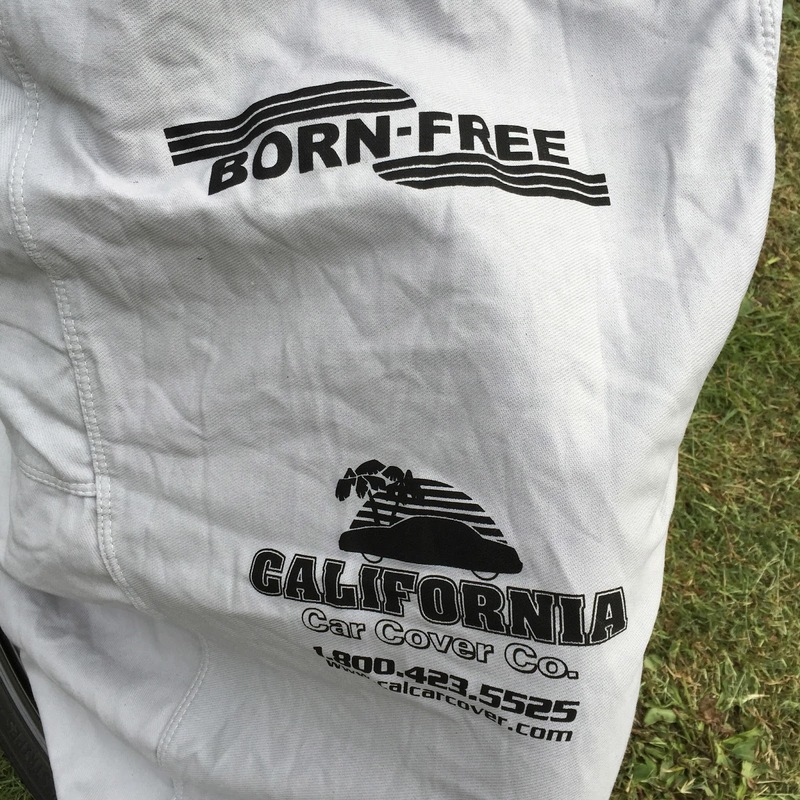 California Car Cover was a sponsor this year of Born Free. 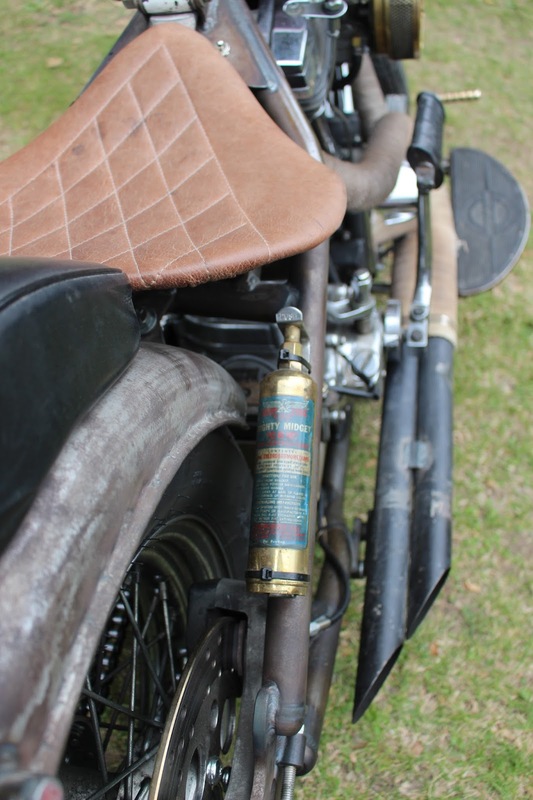 We were in charge of making sure that all of the custom built motorcycles were well protected overnight during the show weekend. 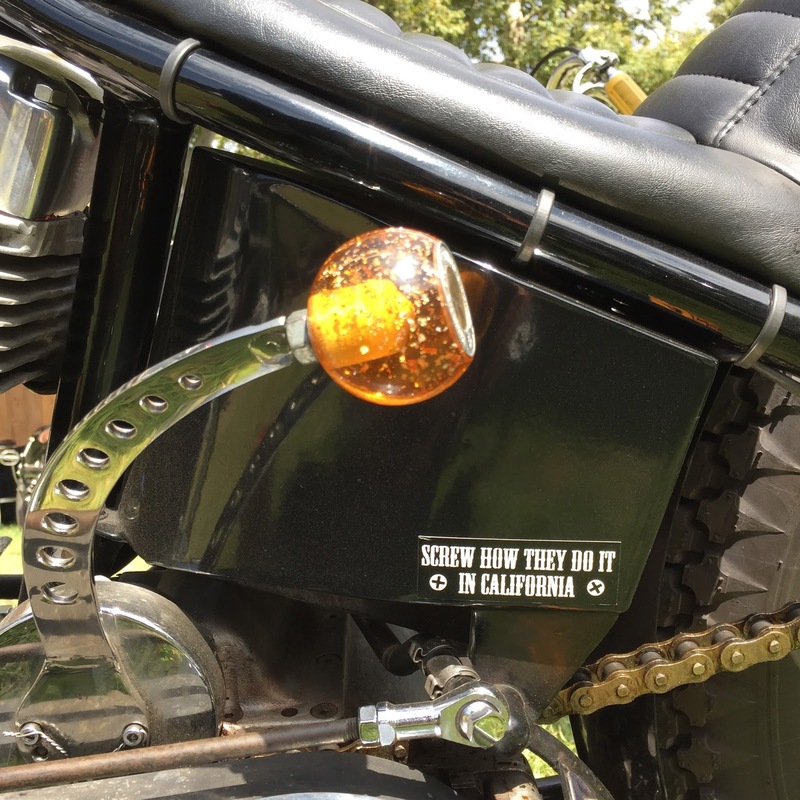 We even created a special Born Free edition of the motorcycle cover for the show. 1937 Harley Davidson built by Uwe Ehinger all the way from Germany. 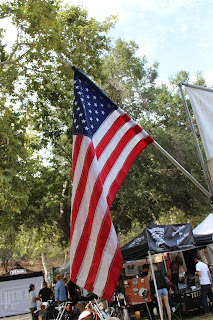 You have to be comfortable on a long haul to Born Free. Custom motorcycles were lined up in front of the California Car Cover booth all weekend. 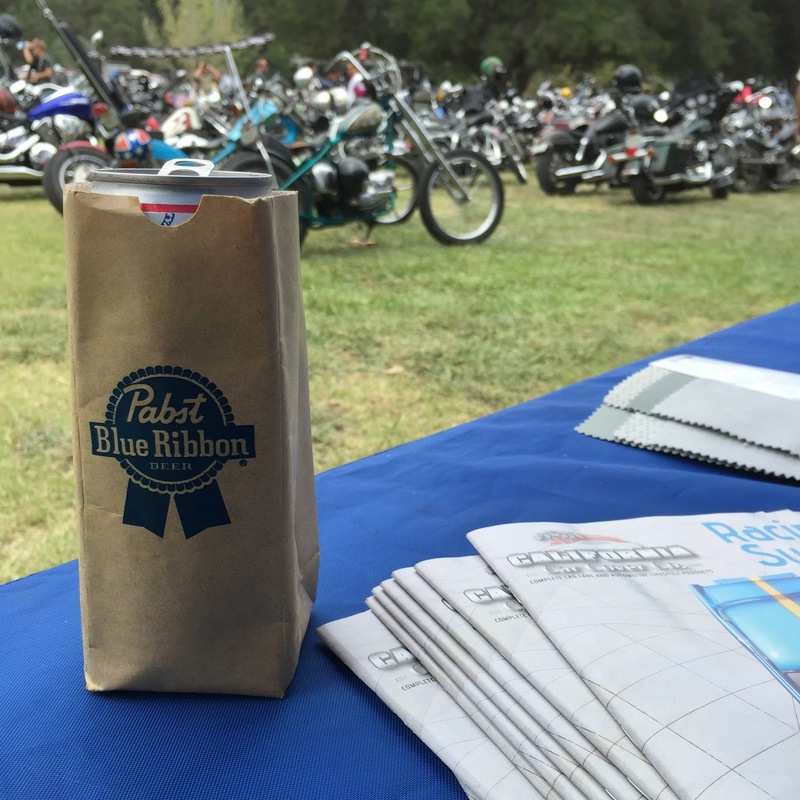 Another event sponsor this year was Pabst. Our friends at PBR were our neighbors during Born Free. 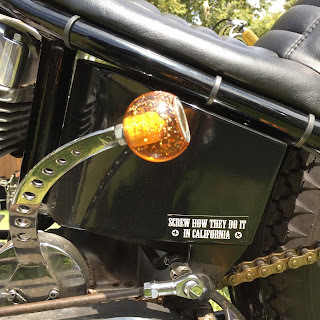 The whole crew was great and we had a lot of fun with them the last few days. 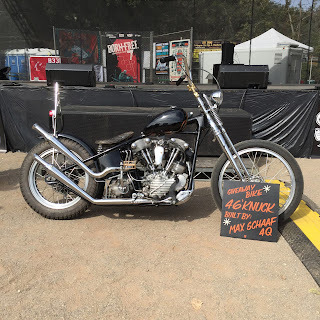 This Knucklehead was custom built by Max Schaaf and was given away on Sunday at Born Free. 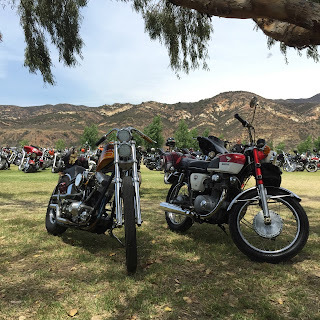 Some incredible Harley Davidson motorcycles restored by Heroes Motorcycles in Los Angeles. Thank you to everyone at Born Free for having California Car Cover as a participant at the event. We had a great time this year and we look forward to Born Free 8.